What is Social Media Marketing and How Can it Lead your Business to Success? Most people are familiar with social media, and many people use some forms of social media every day. On any given day, you might view your Facebook news feed, follow your favorite celebrities on Twitter, post photos of a fabulous brunch on Instagram, or watch a how-to video on YouTube. All of these activities hold value for the people who engage in them. By marketing your business across various social media platforms, you can leverage what is valuable to potential customers. Thus, social media holds value for both your business and the demographics you wish to reach. Before you can begin to employ effective social media marketing (SMM) techniques, you must first understand what social media marketing is, exactly. This kind of marketing encompasses a wide range of methodologies and strategies. A marketing campaign on social media could involve a few blog posts, or it might comprise an assortment of content across several platforms. If you spend any time at all on social media sites, you are probably already familiar with marketing on those sites whether you are aware of it or not. You have likely read a blog post on a commercial website. You may have been contacted via LinkedIn by a business you frequent. Maybe you follow your favorite restaurant or sports team on Twitter. These are all examples of social media marketing. Essentially, social media marketing is the process of utilizing social media sites to create interest in your brand and draw traffic to your business. SMM provides businesses with a means of connecting with loyal and prospective customers. A solid SMM campaign can help your business to reach any number of goals. You could use social media to start a new business or expand a company that is already successful. SMM is simply a more modern way of marketing than using traditional methods. 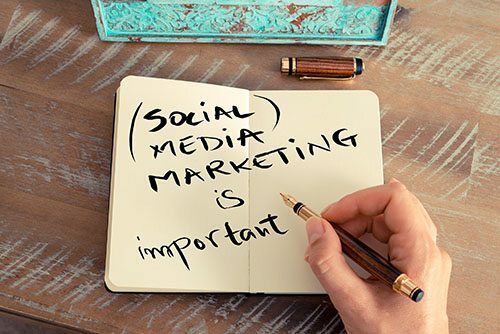 Social Media Marketing is communicating and interacting with audience in different social media platforms, including Facebook, Google+, Twitter and other social sites, to improve your brand’s’ search engine rankings. SMM is especially helpful in your Search Engine Optimization campaign, specifically in achieving high rankings in search engines like Google and driving organic traffic to your business website. SMM and SEO together are coined as Social SEO, a crossover in the Internet marketing space that makes getting to the top of search engines much easier a lot faster. Social SEO has specific features that your business can effectively use to positively impact your overall SEO rank building efforts. Today, a number of Social Media platforms have emerged and the way customers and online netizens have perceived these changes and improvements. This means that you have to take advantage on all of these social communication means to reach to your clients and potential customers online. At Authority Solutions™, we offer Social Media Marketing services and tools that can help you in building a strong relationship with your online audience. Our expert social media marketing team will manage all your social media accounts, schedule content posting, and plan blog outreach and content generation on different social media sites that is best for your business, to engage your clients and attract potential customers. As you can now see, social media marketing may serve as an invaluable tool for any business. The key to success is in implementing the right tactics and strategies for your company. An effective SMM campaign takes time, thought, and proper planning. To truly benefit from SMM, you must pay attention to what people on social media are saying. Engage with other users in relevant conversations, so you may develop a sense of what your potential customers are looking for in a company such as yours. One of the best ways to maximize your marketing efforts is to offer sharable content on social media. When your content excites people enough that they want to share it with others, you will increase your brand recognition. Keep an eye on the content of your competitors that gets the most attention, so you can create or offer similar material. However, remember that the content you post should reflect the qualities that make your business unique. Simply duplicating content and changing a few words here and there will not establish your brand as an authority. Becoming a thought leader in your industry will do much to drive your business toward a successful outcome. You can use social media marketing to build an identity as an authority in your field. You cannot be expected to devise an epic social media marketing campaign on your own. When you are running a business, you must spend your time performing the work that you signed on to do. Unless you are in the business of digital marketing, why should you expect yourself to understand the complexities of a successful social media marketing campaign? This is where we step in to manage your SMM for you. We excel at generating interest in a particular business by making excellent use of social media. Our team can manage your social media accounts. By doing this, we may ensure that no areas are left untapped. We will also build a community for your brand, attract interest in your products or services, and inspire the true engagement of your followers. Brand Monitoring – We will improve and track your online brand reputation. Our brand monitoring service involves monitor overseeing how your audience perceive your brand and we will consistently update you through a monitoring report. Social Media Content – Our in-house content writers will create interesting and relevant articles which will be posted and shared on Facebook, Twitter, and other social media platforms, to ultimately increase your social traffic in a short time. We make sure that the content we post on your social media platforms will significantly impact your business. All are original and fresh content all the time. Social Media Management – Our social media marketing experts will manage all your social media accounts to continuously engage and communicate with your customers and online audience. Setup and Custom Profile Design – The professional web designers of our team will help you create social media profiles that will showcase the products and services that you offer.. Along with fun and engaging articles, we will make your social accounts aesthetically attractive to catch the attention of online visitors. Certain tactics can get your account suspended on some social media sites, and they could even get you banned from a site. In other cases, your social media marketing efforts might simply be ineffective, which ultimately wastes your resources. We have a professional understanding of how the major social media platforms work, and we know how to make that work to your advantage. Social media marketing can do wonders for your business, but you must know how to employ SMM strategies that get results. Do not worry: You do not really need to know how to do this! Instead, we will manage your social media marketing campaign to produce measurable results. Social media marketing can drive your business in the direction you want. Let us talk about your objectives, so we may integrate them with your content. We are an authority in our field, and we look forward to helping your business become an authority, as well. 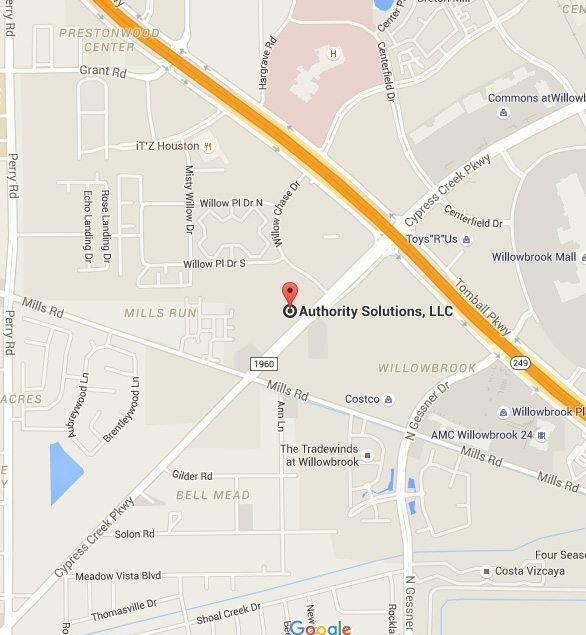 Call Authority Solutions™ today at 888-997-4146 for more information.